Well, Thanksgiving is nearly here – how did that happen? 2017’s certainly had its ups and downs, but it’s not over yet, and we’re still here to bring you the latest news, case updates, and settlements that matter to you. This month, we have news on the Lumber Liquidators “off gassing” case, a look at a recent Senate ruling about class actions, and some important new cases, including reports of Honda Civics rolling while parked and Illinois businesses illegally storing their employees’ fingerprints. It’s all right there for you, with a side of cranberry sauce – enjoy! Attorneys working with ClassAction.org would like to hear from 2017 Honda Civic owners who’ve experienced problems with the vehicle’s gearshifts, especially if their car has rolled away despite being in park. A number of owners have complained that the gear shifter is defectively designed and returns to the center position after being used, confusing drivers as to what gear they are in – and, worse, that 2017 Honda Civics don’t have safeguards in place to keep the cars from rolling away after the driver leaves the vehicle. The National Highway Traffic Safety Administration has already heard from frustrated customers, and attorneys believe a class action lawsuit may be possible. This would help you collect compensation for repairs if your car has rolled and been damaged, any necessary work, as well as money for the loss of value and other costs. 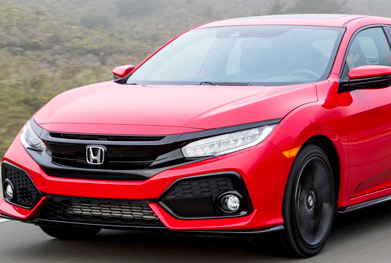 No lawsuit’s been filed yet, so if you have a 2017 Honda Civic and you’ve noticed these problems, get in touch today and tell us what happened. If you’ve switched from public utility companies to independent, unregulated suppliers, it’s possible you’re being charged too much – even if the company convinced you to switch by promising savings. Attorneys working with our site have already looked into several of these companies, who often sign up new customers through unsolicited letters, phone calls, and even door-to-door salespeople. Their promises of lower bills sound great, but many customers have seen those promises broken as their bills increase after leaving public utilities. There’s a load of companies that may be doing this – Spark, Just Energy, Direct Energy, Clearview Energy, North American Power and TriEagle, to name just a few – and lawsuits have already been filed arguing that these independent energy providers (also called ESCOs) are exploiting states that deregulate their natural gas and electricity markets, switching some customers from fixed price plans to variable rates without notice, failing to file their rates or let customers know how they work them out, and raising prices unexpectedly. A class action lawsuit could help you recover money lost to these companies, and you can find a fuller list, and more details, on our dedicated page. Anyone who took out a loan from a credit union and chose to purchase credit disability insurance may have been overcharged by a change in policy they were never told about. Attorneys looking into the matter believe that CMFG, the company that sells the insurance to 99% of the credit unions in the U.S., swapped out policies without telling borrowers, and that these newer, more-expensive policies offered no added benefits. CMFG was formerly known as CUNA, and lawsuits filed by frustrated customers claim insufficient notice was given about the changes. Fact is, you could be affected by this and not know it – but if an attorney looks over your original loan application and insurance contract, they may be able to determine if your insurance policy was swapped. Attorneys are already speaking to credit union members who took out disability insurance, so if you’d like to learn more about this, get in touch here. Dozens of companies in Illinois are facing lawsuits for allegedly collecting their employees’ fingerprints after storing them as part of their clock-in and clock-out procedures. These companies may have put their employees at a greater risk of identity theft, while also breaking state laws designed to protect privacy. In the suits already underway, attorneys claim that companies requiring fingerprint scans are breaking Illinois’ Biometric Information Privacy Act (BIPA) by failing to inform people in writing that their prints will be stored, the reason they’re being collected and stored, and by failing to get a signed release from the employees. In some cases, employers may also be sharing the collected fingerprints with a third party – the companies that provide the scanning technology – in another breach that raises the risk of identity theft. If you’ve had your fingerprints taken by your employer but were never notified in writing that they would be stored, you may be able to take part in a class action lawsuit, and collect $1000 if your employer is found to be in the wrong. Learn more. Does ‘diet’ mean a drink will help with weight loss? That’s the question facing Coke, Pepsi and Dr. Pepper/Snapple after almost identical lawsuits were filed against the companies, arguing that their advertising of no-calorie “diet” drinks implied the products could help customers lose weight – effectively misleading consumers, since the products definitely don’t do that. Two named plaintiffs per lawsuit claim that their struggles with obesity are, in part, because they believed drinking “diet” drinks would not lead to any weight gain since they didn’t contain calories. The cases are essentially about mislabeling, and whether the three companies have misled the plaintiffs through their marketing. Read more. You may have read about the recent vote in Senate to nullify the Consumer Financial Protection Bureau’s pro-consumer rule allowing consumers to file class action lawsuits against financial institutions. The vote – only made possible by Vice President Mike Pence’s tie-breaker – is a contentious one and has been hailed and derided by onlookers. In general, it looks like it’s part of Republican plans to roll back financial regulations – but as always, it’s not quite so simple. Read our take in our new blog post. You may well remember the Lumber Liquidators debacle – it certainly attracted enough attention. Well, the company has now reached an agreement to settle all pending class action lawsuits over its China-made laminate flooring, for a total amount of $36 million. The terms specify $22 million in cash be set aside, along with $14 million in store credit, though the “memorandum of understanding” announcing the deal stops short of any admission of wrongdoing. The company was accused of selling dangerous laminate flooring that could “off gas” formaldehyde at levels far beyond legal limits, and a number of its products were ultimately caught up in the scandal.